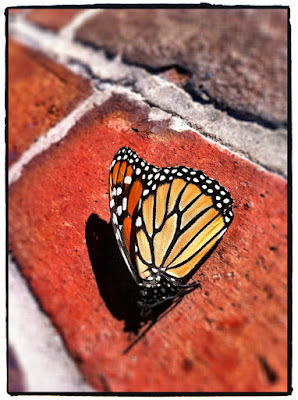 While walking to a meeting, I was understandably distracted by a dead monarch butterfly on some colorful brick pavers. 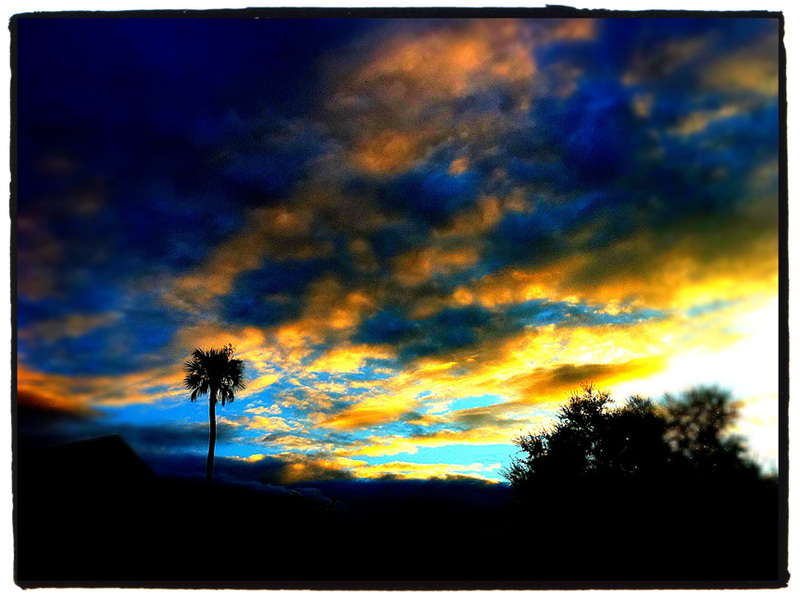 There was a nice sunset while walking Stella after work. That monarch still looks beautiful even when it's dead. Your sunset shot looks amazing. It is not everyday that you can witness those colors.